Another summer, another Fringe. We started with Impure Thoughts at the Royal Croquet Club and finally made it to the Garden (of Unearthly Delights). In between we managed to catch four music gigs, a cabaret, and three comedy shows. 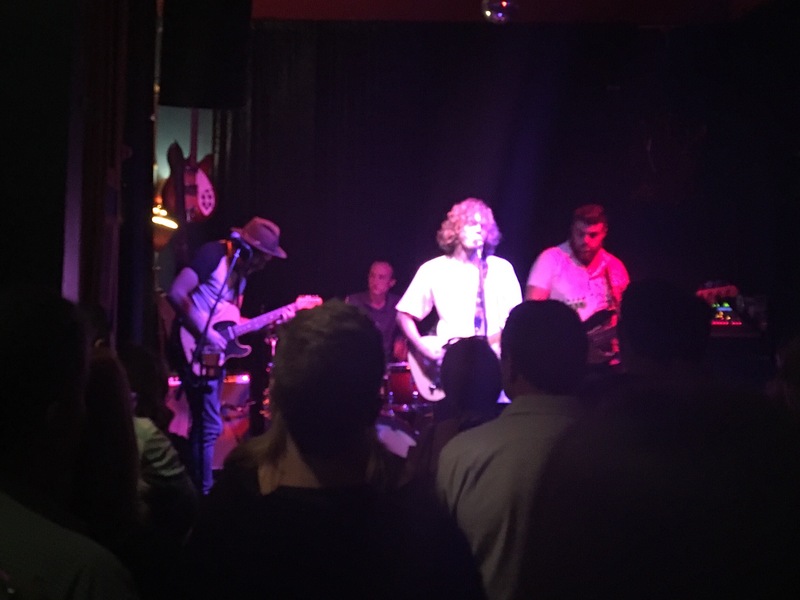 Adelaide’s favourite southern blues-rockers Wanderers transformed themselves into 1970’s Little River Band before reaching back a decade to become a most convincing Crosby, Stills and Nash (with a little bit of Young). Regular bassist Benny Morris excelled on those challenging Graham Nash harmonies and second lead guitar, whilst we were treated to frontman and lead guitarist Dusty Lee Stephenson rattling the keys on Our House. 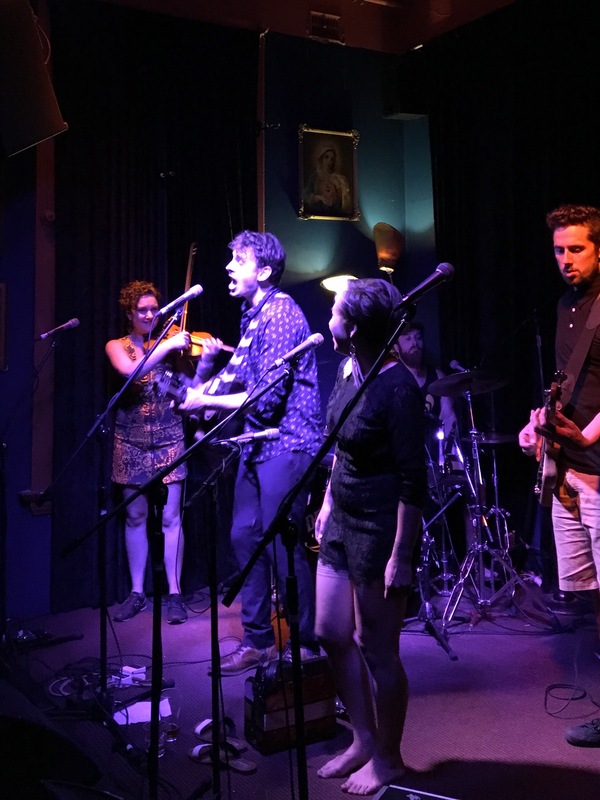 With instrumental virtuosity, tight harmony vocals, brilliant songs performed brilliantly, the show took Wanderers to new heights and introduced them to a brand new (if old) audience. We loved it so much we went back the following night. As good, but in a different way, was Louis Donnarumma’s Grace: the songs of Jeff Buckley. This was an expanded version of Louis’ Fringe show last year, adding some of the recently released early cover material to established favourites Last Goodbye, Grace, Hallelujah and many others including the unsurpassable Lover, you should have come over. 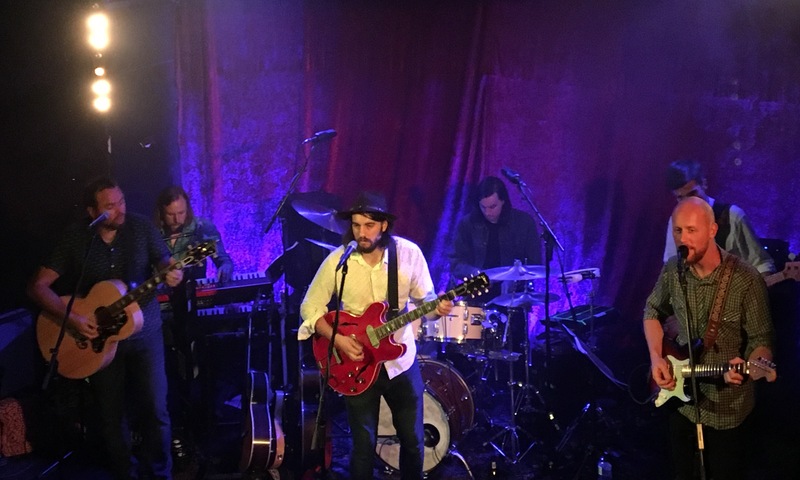 Uncanningly sounding like the man himself, this year’s show attracted many more Buckley fans, clearly newcomers to the ultra grungy but award-winning music venue, the Grace Emily Hotel. Close your eyes and it could be Jeff. This show needs to go (inter-) national. One of the endearing features of the Grace Emily Hotel is its total lack of artist facilities: no dressing or green rooms. So the chances are that any artsy-looking strangers sat at the bar prior to gig o’clock are in the band. On the night of the Jerry Cans Fringe gig, I took a chance with the Canadian and Inuit-looking strangers next to us, although no one is ever offended by the question, “Are you in the band?” Thus we got to meet Andrew and Nancy, the husband and wife leaders of surely the world’s most northern band. With Scottish ceilidh dance moves and an impromptu tutorial in throat-singing, the enthusiastic audience had immense fun. Who cares that we didn’t understand a word of it – “Alianait!” (the Inuktitut word for “wonderful”, used as an exclamation of joy). We also got to meet the man who introduced blues (Muddy Waters, BB King, et al.) to Canada, and the rest of the band, including guest indigenous didgeridoo player Willie Barton (soon to appear with the Adelaide Symphony Orchestra). They say comedy is the new rock’n’roll. With these musical highlights, could the comedy live up to this standard? It didn’t. It isn’t. Nevertheless we laughed along with one of those Best of the Best stand up shows. ¿Hablas Inglès? was an amusing personal memoir of comedian Marcus Ryan‘s eighteen month trip through Latin America. We went straight after Spanish class at WEA, so it felt like a humorous extension of our lesson. Marcus’ funniest moment was when he reported to the local police that he was being attacked with ‘big spoons’ (lesson learnt – know your cutlery). As a Simpsons fan, Yanni Agisilaou‘s The Simpsons taught me everything I know was the comedic highlight. Interspersed with video clips, Yanni was able to draw hilarious (and not so hilarious – rather scary) comparisons between Mayor Quimby’s and President Trump’s policies – yes, they are the same. He lamented the loss of the Springfield and Sydney Monorails, adding his own passable impressions of many of the characters and weaving his own jokes and stories in with those of The Simpsons. Both these latter shows played at Adelaide’s comedy hub, the Rhino Room, sadly soon to be closed and redeveloped. So that was it for another year and autumn has decisively put an end to the summer. Fortunately we have the Adelaide International Guitar Festival, Umbrella Festival, Guitars in Bars and the Cabaret Festival to see us warm through the winter. Anyone for croquet? The Royal Croquet Club 2017. Grace notes @ the Grace Review of Louis Donnarumma’s 2016 Fringe show. One world, one music, one love The Jerry Cans at Womadelaide 2016.